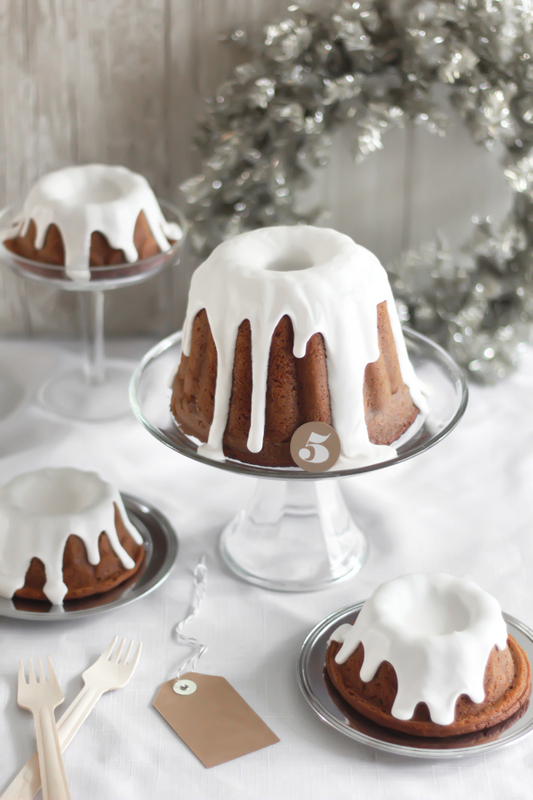 I am deeply smitten with giving little bundt cakes at Christmastime - and getting them (hint hint)! This classic gingerbread recipe has been around for ages. My personal touch to the confection is sorghum molasses (I recommend Muddy Pond pure sorghum from my home state, it's the best!). Sorghum is lighter in flavor and color than regular molasses. It gives this cake a golden appearance and mild flavor, but if you prefer a darker, more typical gingerbread, then blackstrap molasses can be used in place of the sorghum. This is a good cake to gift to long distance friends, because it's sturdy enough to ship. The liberal soak of rum preserves the cake and prevents it from drying out. A slice is great alone but even more delicious with strong coffee. Cream the butter in a bowl with an electric mixer. Add sugar and beat until light and smooth. Add the molasses and egg yolks; mix thoroughly. Sift the flour with the baking soda, salt and spices and add to the creamed mixture alternately with the buttermilk. In a separate bowl, beat the egg whites until stiff. Fold the egg whites into the creamed mixture using a large rubber spatula. 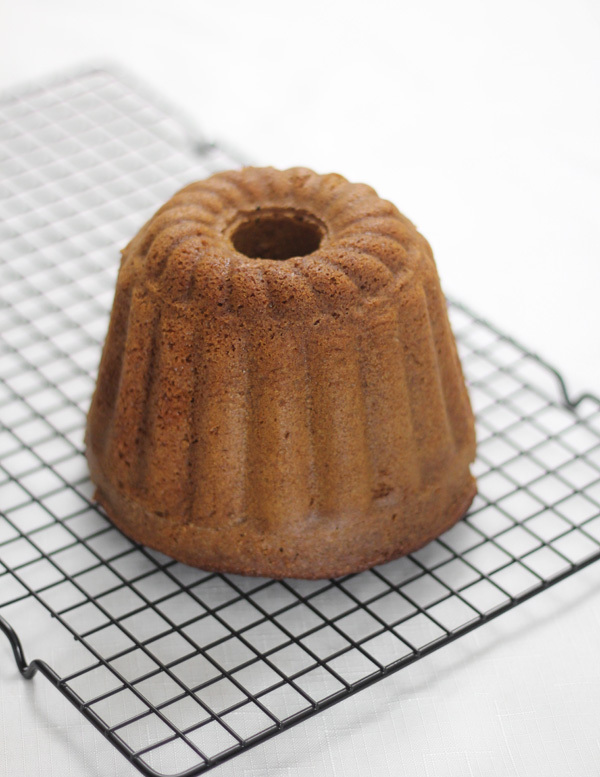 Pour the batter into a well-greased and floured mold (a bundt pan, or 6 to 8 mini bundt pans). Bake for 30 to 40 minutes (check mini cakes at 25 minutes), or until the cake springs back when pressed. Let the cake rest in the pan for 5 minutes then turn it out onto a wire rack and let it cool completely. Combine 1 cup of dark rum with the brown sugar in a small saucepan. Place over medium heat until the sugar is dissolved. Remove the pan from the heat source and let cool slightly. Brush the cake liberally with the syrup using a pastry brush. 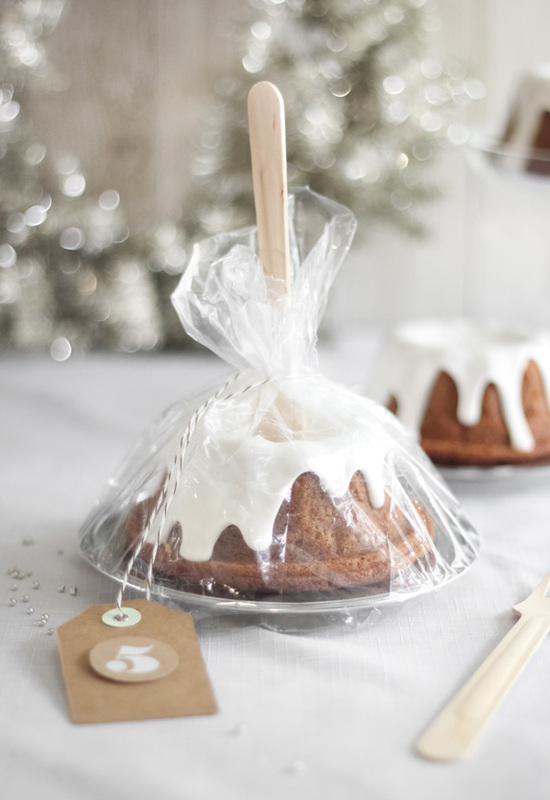 Allow the cake to stand, loosely covered, for several hours to ensure the rum is thoroughly absorbed. For the hard sauce, combine the confectioners' sugar and rum in a medium bowl. Add milk a few drops at a time while whisking. When the mixture is thick and drop from the whisk in a thick ribbon back into the bowl, then the correct consistency has been achieved. If the glaze is thinned too much, add additional powdered sugar until consistency is achieved. Pour the glaze over top of the cake, allowing it to run down the sides. Let the cake stand uncovered until the sauce hardens. Package as desired. Magnificent! A wonderful Xmas gift. these would make such lovely and beautiful gifts!